Nickelodeon Favorites: The Great Summer Campout! Themed "variety pack" collections have been Nick Jr.'s home video bread and butter for well over a decade now: they've basically abandoned chronological season sets, so the recent appearance of The Great Summer Campout on store shelves is hardly surprising at this point. 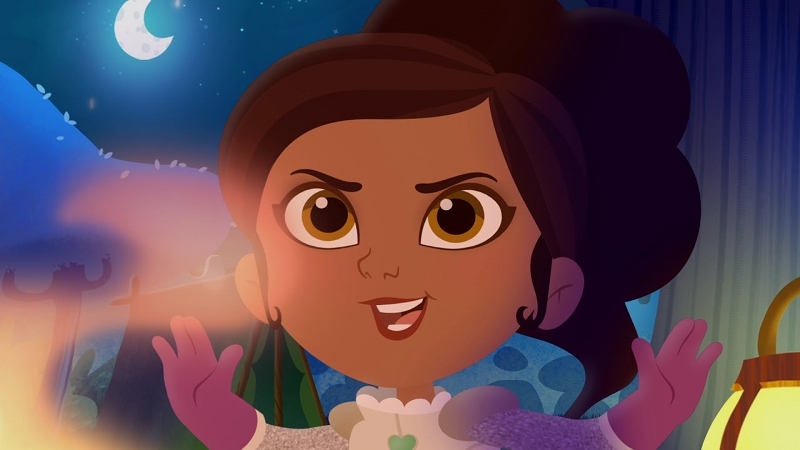 Five episodes are included on this one-disc release: Bubble Guppies' "The Summer Camp Games", Shimmer and Shine's "Treehouse Retreat", Blaze and the Monster Machines' "Truck Rangers", Sunny Day's "Wild Styled", and Nella the Princess Knight's "Dueling Sleepovers". Not surprisingly, these aren't all-new episodes; in fact, most are at least a year or two old, and only one of 'em originally aired during the summer months. What's really disappointing is that, more often than not, each of these five episodes just barely has a summer or camping theme pasted over its regular formula: there's nothing really special about most of these outings, mostly due to their short running times and lack of outside-the-box thinking. 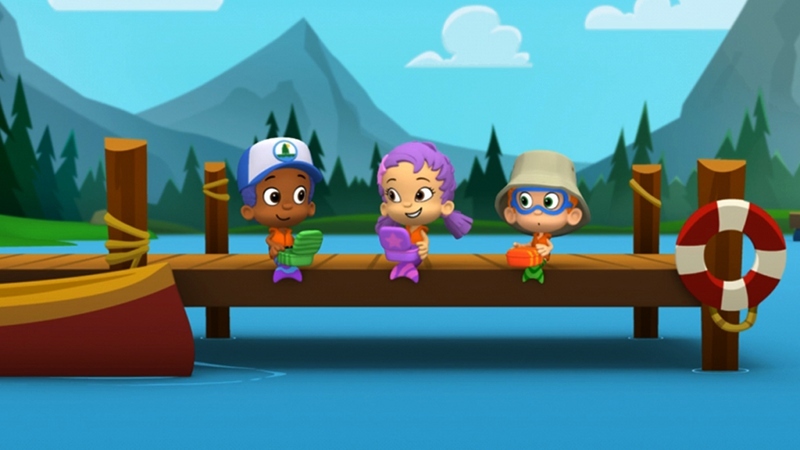 The closest to "kinda-inspired" are Bubble Guppies' "The Summer Camp Games" and (surprisingly enough) the Sunny Day episode "Wild Styled": I don't really care for the latter in general and Bubble Guppies is long past my daughter's age range at this point, but they seem most at home on this collection. And while there's nothing really terrible lurking on here (slightly dull or uninspired, sure, but at least passable for most young audiences), The Great Summer Campout is a generally flat collection that's obviously thrown together out of obligation: $10 for barely 90 minutes of content that might be watched two or three times, tops. 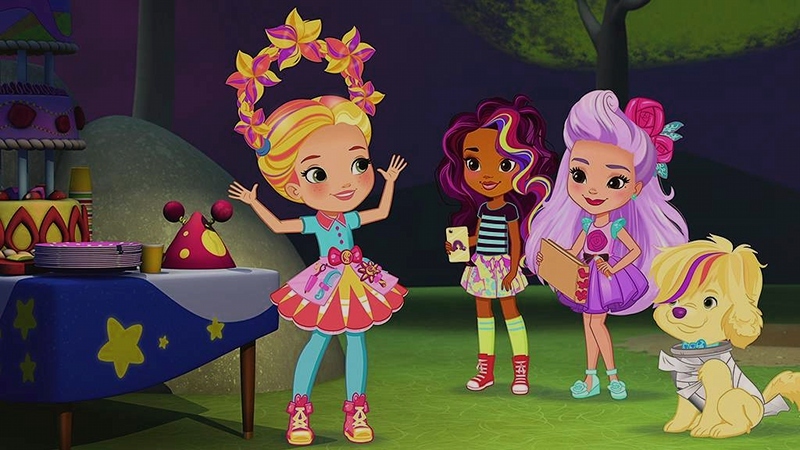 Still, if you've got a little one that's interested in more than half of these shows, The Great Summer Campout makes a decent enough rental between trips to the pool or even during a long car ride. I can't say it's worth buying sight unseen or even for a die-hard fan looking to fill the gaps in their collection, as streaming options and re-runs are more convenient (and cheaper!) in comparison when you consider the lack of replay value here. Paramount's DVD earns a merit badge for its typically good A/V presentation, even though the light content and lack of extras really hurt this one. Since all this material was created in HD and is less than four years old, it's no surprise that The Great Summer Campout looks extremely strong on DVD with bright colors, good detail, and a pleasing amount of texture on characters and backgrounds. All episodes are presented in their original 1.78:1 aspect ratios, which showcase the eye-catching visual designs and well-rendered background compositions. Colors look great with no obvious bleeding, while shadow detail and black levels are also consistent from start to finish. Small amounts of banding can be spotted along the way, but that's almost expected for standard definition releases and is most likely a source material issue. The audio is uniformly presented in Dolby Digital 5.1 and sounds great under the circumstances. Dialogue is crisp without fighting for attention, while a modest amount of channel separation and LFE gives songs and action sequences a decent amount of punch when needed. Just one complaint: no dubs, subtitles, or Closed Captions are included. After a few advertisements and logos, Paramount's DVD opens with a colorful interface that's easy to use. This one-disc release arrives in an eco-friendly keepcase with a matching slipcover. Not surprisingly, no extras are included. I'm not gonna lie: with few exceptions, The Great Summer Campout is lukewarm summer entertainment with little more than a flimsy outdoor backdrop pasted on each show's standard formula. (The lack of Nick Jr. juggernaut PAW Patrol is also disappointing, at the risk of ruining my street cred). Still, I'd imagine that most kids wouldn't complain about this stuff if they haven't seen most the episodes already, but the light amount of content and lack of extras doesn't give this much "bang for the buck" appeal. Paramount's DVD follows the cut-and-paste template of past "variety pack" collections, serving up a solid A/V presentation and nothing else. Rent It, unless you're a die-hard collector.